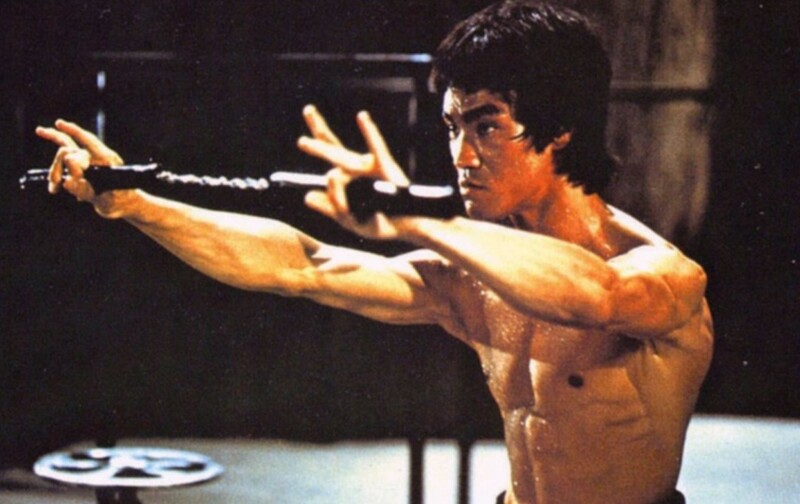 I’ve always known who Bruce Lee was. From the moment I was old enough to put a name to the guy on those posters that adorned the bedroom walls of us kids in the late 70’s and 80’s. The one with him sporting the bloody claw marks across his chest and the other with him ready for battle with a set of nunchuks. I’d known even as a child that he was this mythical fighter who had died young with many conspiracy theories circling around his death. It would take the birth of the home video market and the VHS tape in the clamshell case from WB that finally gave me the opportunity to see the film. 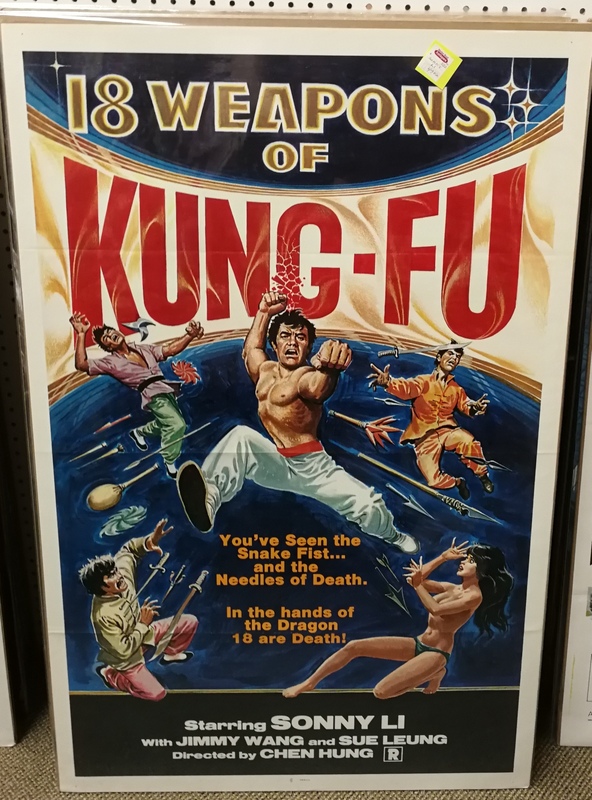 In the years that followed I’d get a good laugh at the amount of Bruce clones that the North American marketing machine would inflict upon a public hungry for the next master of martial arts. 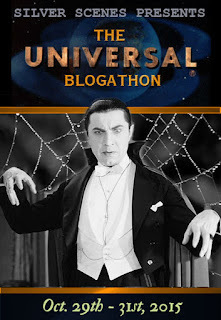 One that could bring people into the box office of local theaters and drive-ins filling the pockets of low budget production companies importing these foreign affairs with cash. 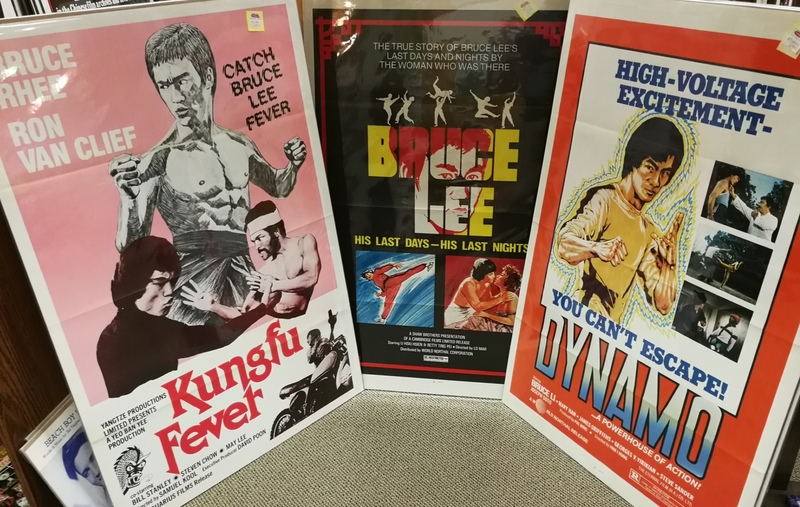 As a movie poster collector who just loves the low budget titles and ultra cool art work meant to sell the picture, imagine my delight at finding a treasure trove of one sheets aimed at the Bruce’s of the movie world from a local dealer that I frequently purchase from in my little corner of the globe. Talk about a karate chop when I least expect it! Time to move in for the kill and have a look. 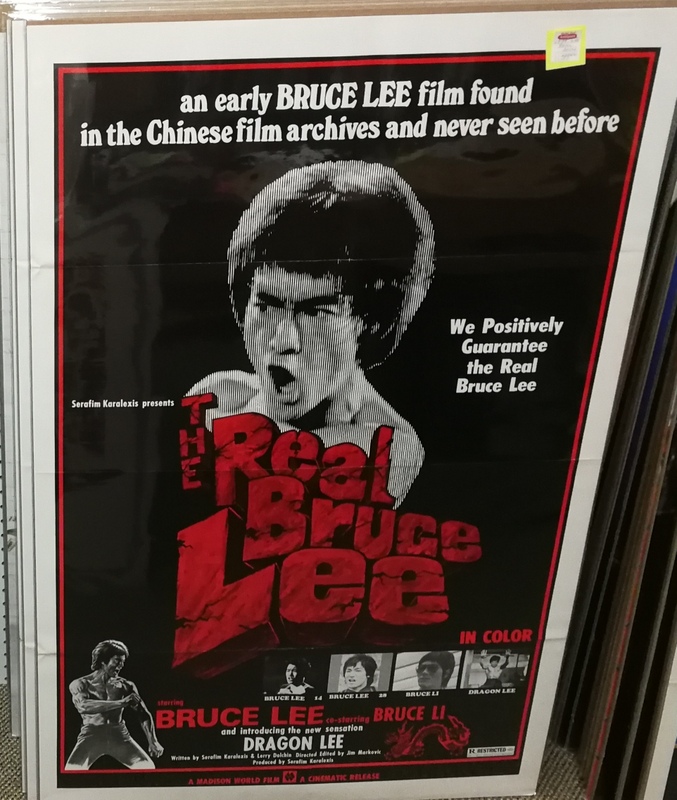 Not only am I on the hunt for an eye catching poster to bring home, I’m drawn to the names that are meant to fool me into believing Bruce Lee has been resurrected from the after world to star in more movies. 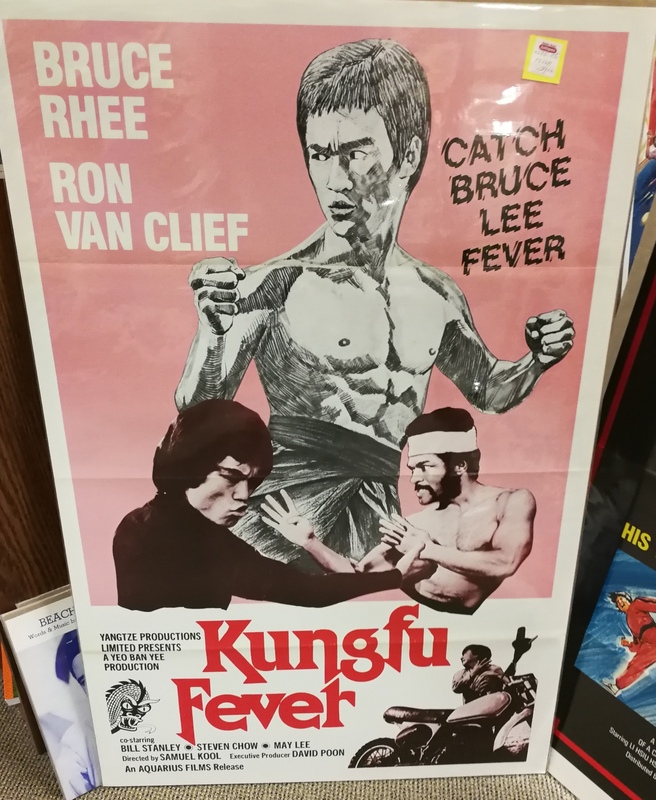 Catch the Bruce Lee fever courtesy of Bruce Rhee. If someone told me I was going to see a Bruce Rhee film I’d assume they had a speech impediment. 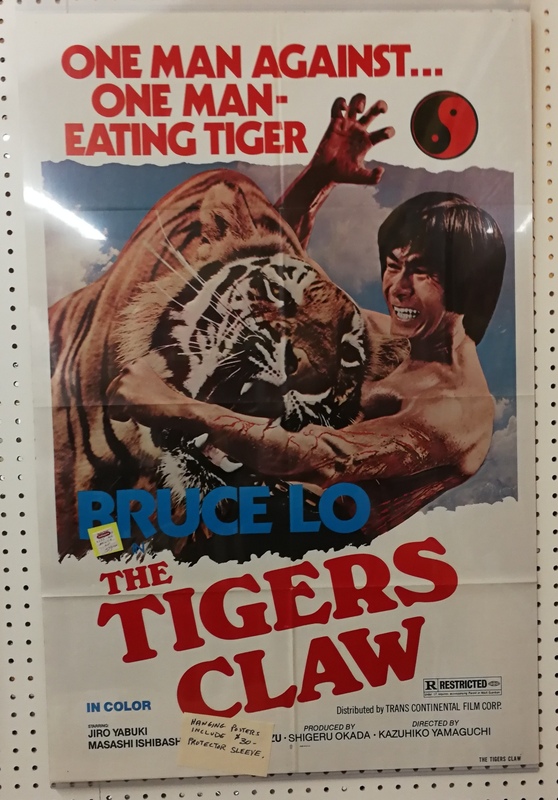 Here’s a stunning one sheet where Bruce Li as The Tiger takes over now that the Dragon has exited. Unbelievable! 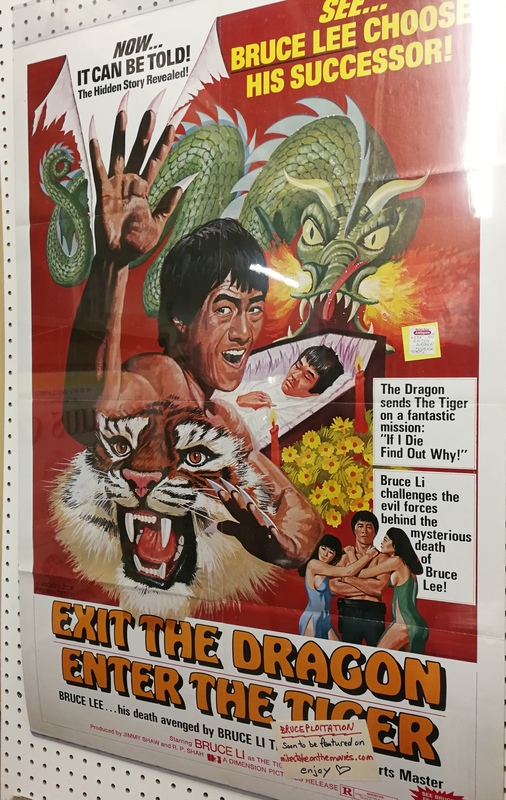 Check out the art work of Bruce Lee in a coffin. How about the back wall. More Bruce Li joined by Dragon Lee and best of all, Brute Lee. 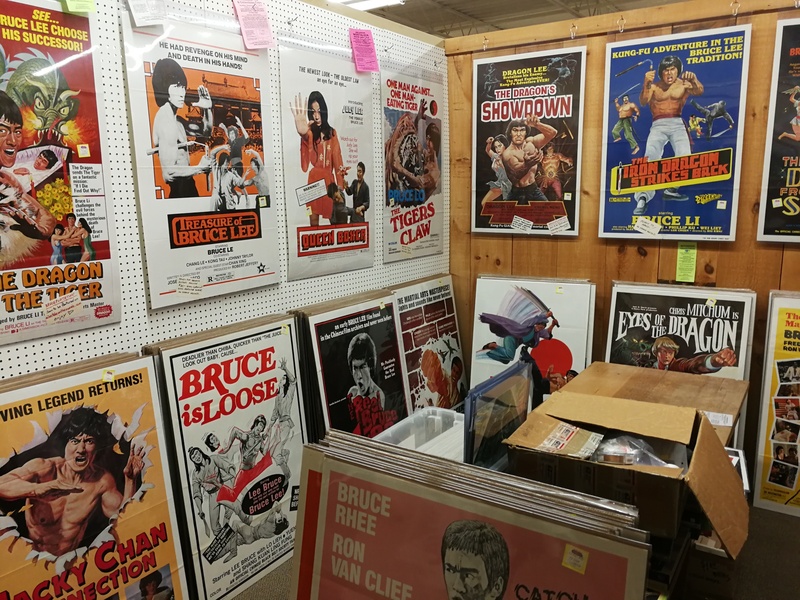 Let’s move in for a close up on that Brute Lee poster to check out what we can expect. 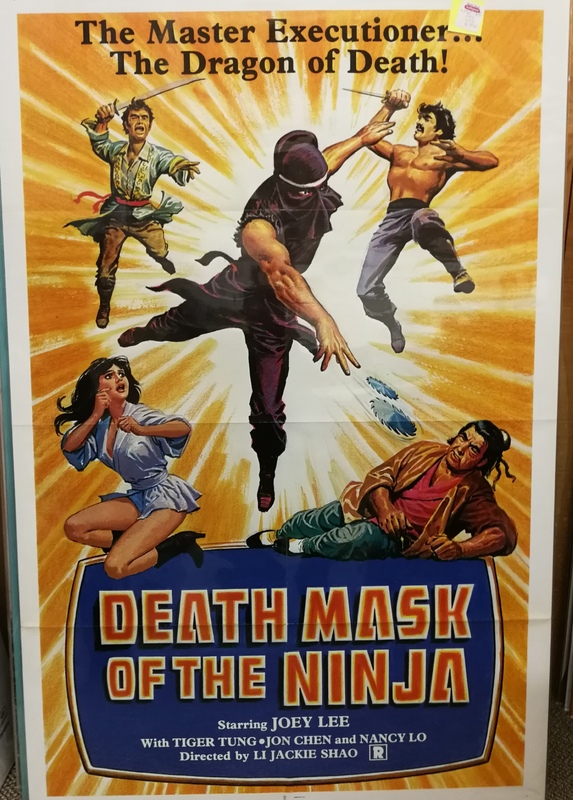 I have to wonder aloud if that Mongolian Fire Fist made it’s way into Canada as well as the U.S.
Another one sheet that caught my attention. 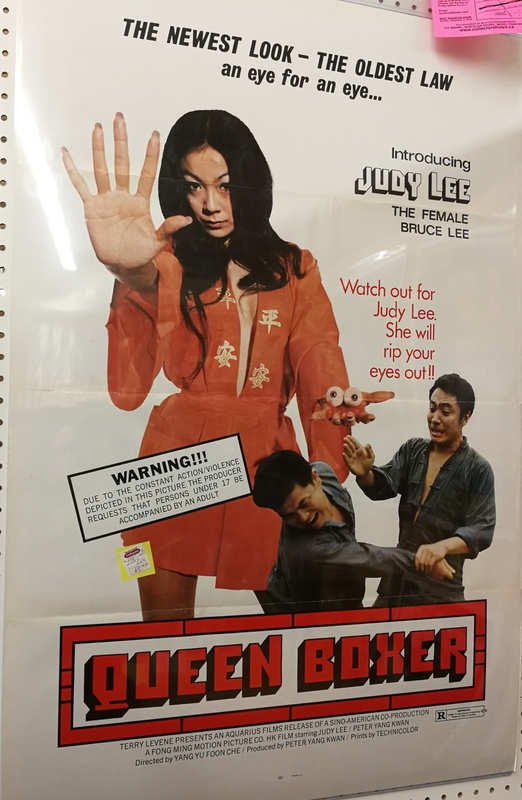 Wonder if the movie starring Sonny Li is as colorful as the poster. 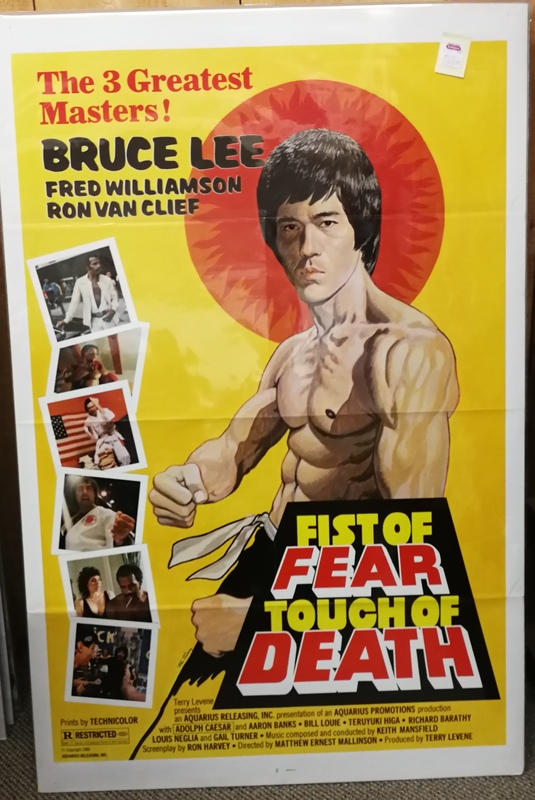 Bruce Lee starred with Fred Williamson and his cigar along with Ron Van Clief (no relation to Lee Van Cleef) in this one ….. Since when! Drop an E and what do you get? 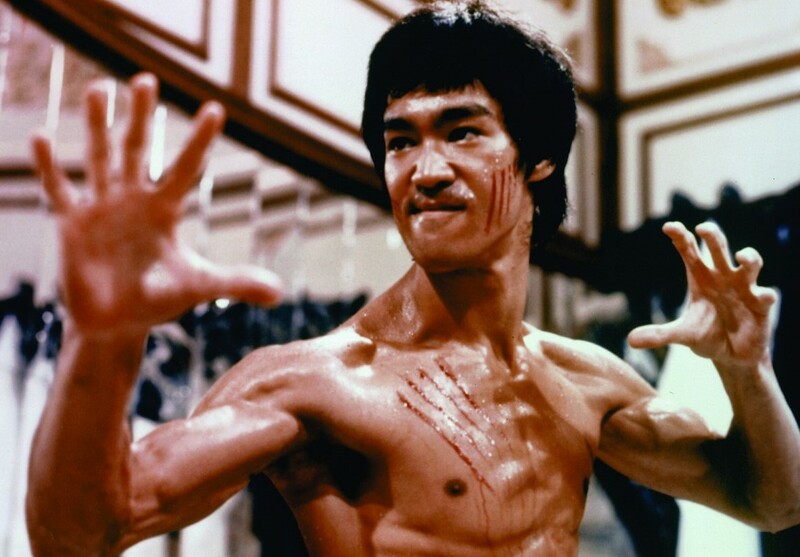 Bruce Le, what else? 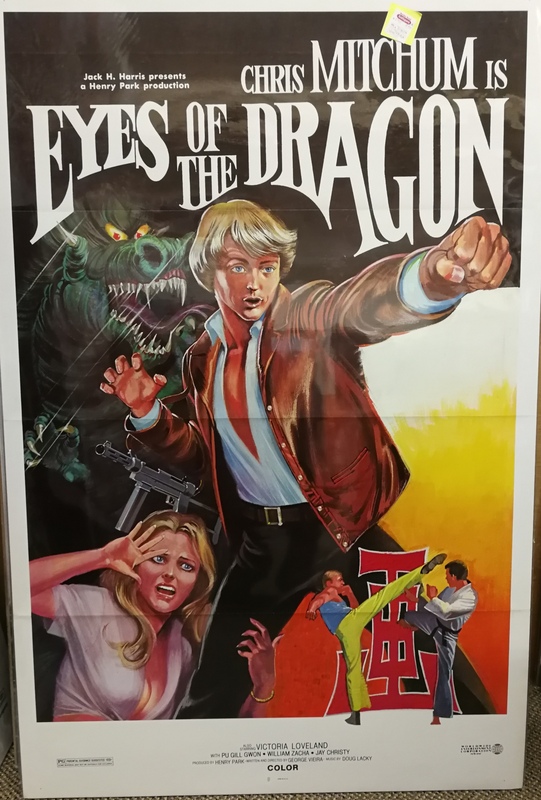 It may not be Enter the Dragon but Eyes of The Dragon brings Chris Mitchum into the martial arts mix. If we can’t get a Bruce to star in a movie why not cast someone with the last name Lee. Maybe the paying public will assume this guy Joey is related to Bruce and therefore makes for one deadly ninja. Bruce Lo anybody? No. How about Judy Lee but be damned careful. She will rip your eyes out! 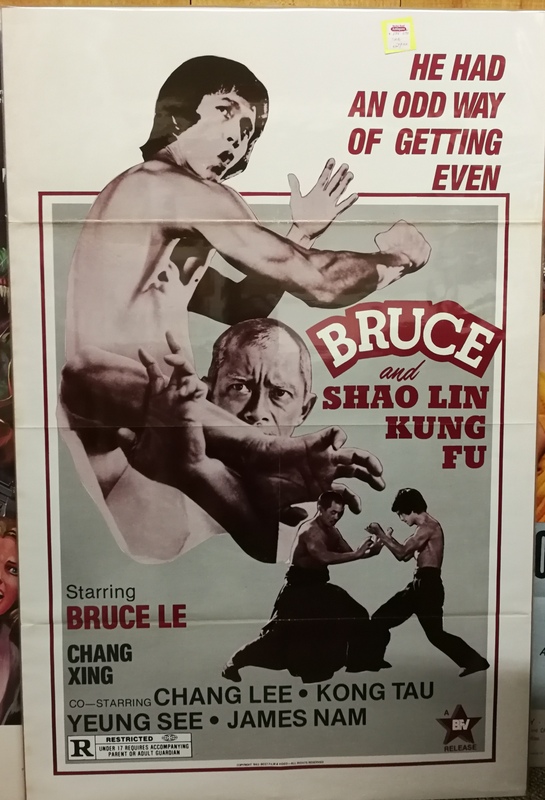 This one might be my favorite attempt at cashing in on the Bruce Lee name. 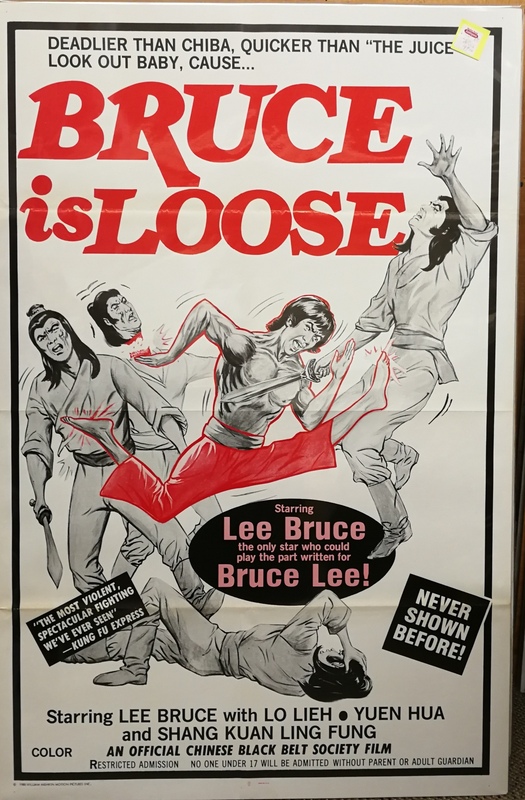 How about a guy newly christened Lee Bruce for the movies! Splash that name across the poster was the order of the day from the marketing department. 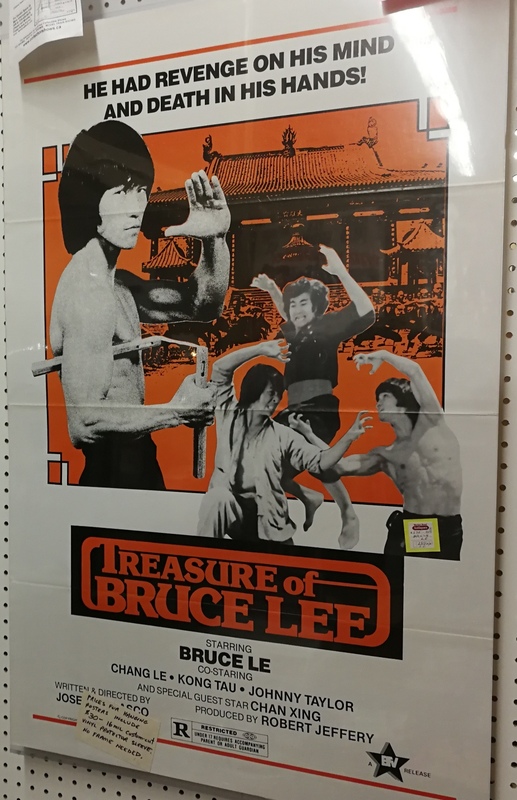 Bruce Lee’s treasure is being hunted down by star Bruce Le. Dragon Lee I get but who the hell is Jacky Chan? Jacky? Looks like a local lost and found unveiled some guaranteed footage of the real McCoy. Or shall I say the real Bruce. 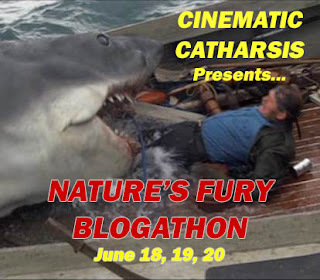 So that about does it with the world of Bruce wannabes. 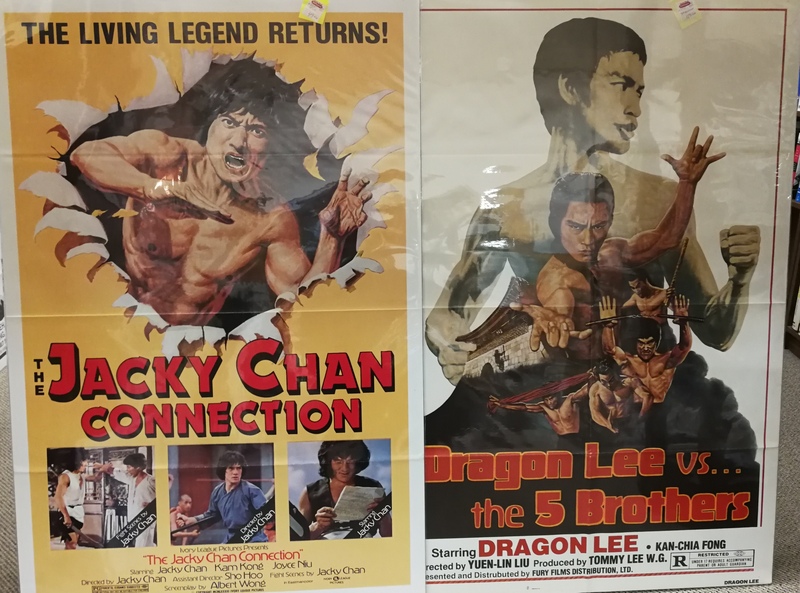 A special thankyou to my poster guy who I think I’ll name Bruce George or George Lee in the spirit of this poster gallery. What did I bring home with me you ask? 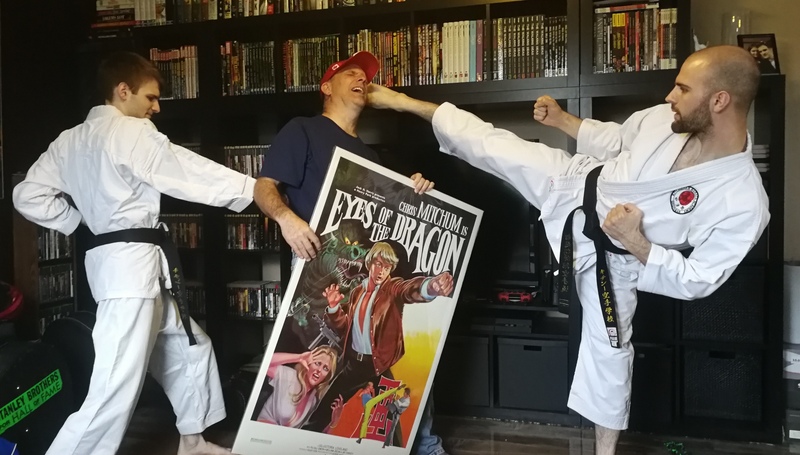 My two black belt karate chopping sons, Ethan and Kirk asked me the same thing. 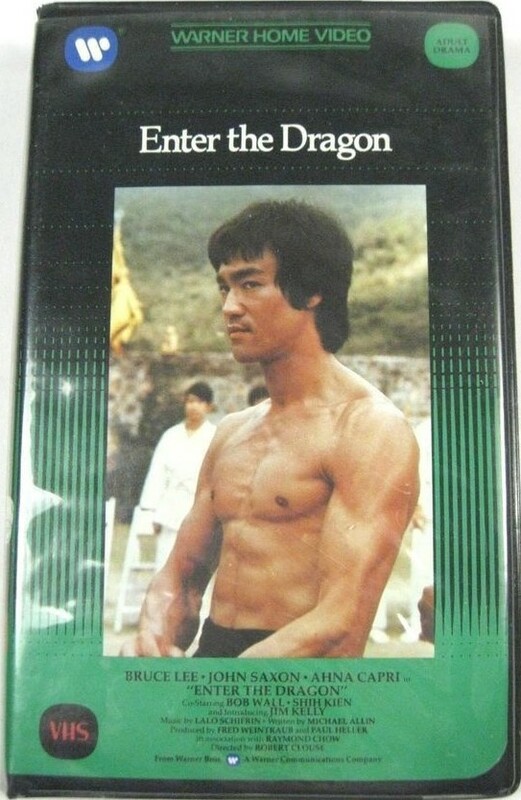 They were counting on a real deal Enter the Dragon one sheet. I guess the Chris Mitchum title didn’t do it for them cause here’s the reaction I got after the unveiling. Wow! 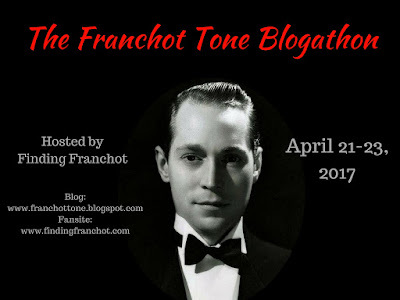 An excellent write-up, a well-informed tour with a multitude of photos and some genuine laughs. 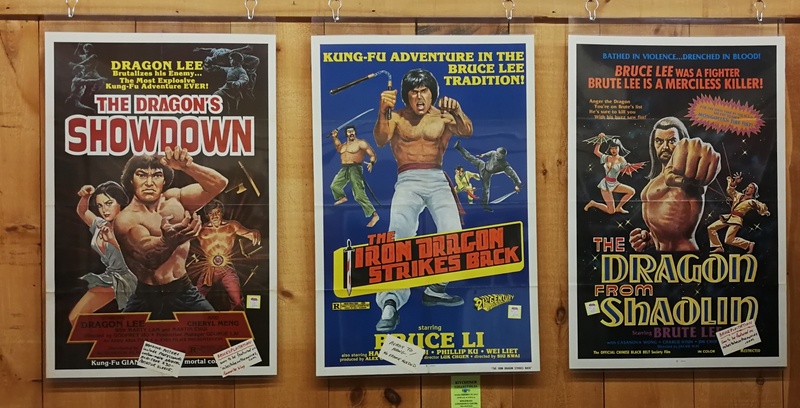 And the posters are definitely more impressive than the movies. 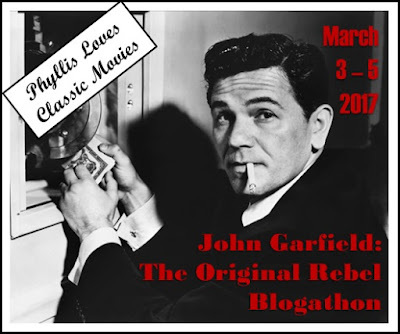 Thanks George and a pleasure having you join in the fun. Next time I’ll let you unveil the poster for the boys. My jaw can’t take much more of those drop kicks. All the posters are incredible. There was a Bruce Leroy in The Last Dragon. 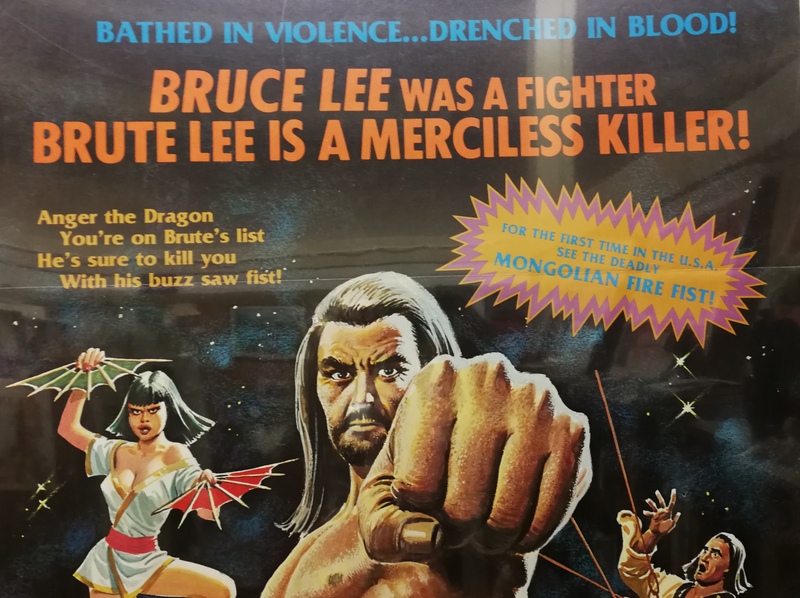 Though he wanted to be him rather than just rip off the Bruce Lee name. 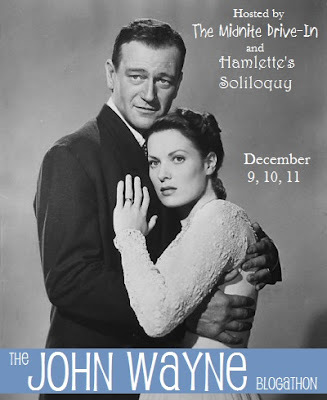 Never let go of a vintage movie poster. The rarer the better. Damned kids. All that money I spent on their training over the years and they use me as a punching/kicking bag. They’ll be running soon if I go Bronson on them.